Just to give you an idea on how big the Codex is. Putting the Codex into perspective. The pages are allegedly made from the skins of 160 donkeys, the Codex Gigas, is the world's largest and the most mysterious medieval manuscript. According to the Codex legend, this disturbingly beautiful text sprang from a pact made between a doomed monk, and the devil. This thirteenth century old manuscript was written by a Benedictine monk in what is now the Czech Republic. The Codex Gigas (Latin for "Giant Book") is interesting in its own right for being the largest existing medieval text in the world. But it is the less than holy legend behind the Codex Gigas that draws most of the attention. Created in the early 13th century in the Benedictine monastery of Podlažice in Bohemia, the Codex Gigas is now under the watchful eye of the National Library of Sweden in Stockholm. The text is so large that two librarians are needed to lift it. According to the Codex legend, the single scribe was a monk who breached his monastic code and was sentenced to be walled up alive with no chance of escape. There was only one way the monk could avoid his excruciating death, he promised to create a beautiful, and fascinating book to glorify the monastery forever; a book that would include all human knowledge. There was one catch, he was given only twenty-four hours to complete the task in and if the monk would complete the task, then be free to live. The monk began to compose a bible written on animal skins, with colored inks and illustrations; completely illuminated (means decorated initials and miniature border artwork) in the manuscript style made back during that era. Legend has it that near midnight the monk became sure that he could not complete this task alone, so he sold his soul to the devil for help. The devil completed the manuscript and the monk added the devil's picture out of gratitude for his help. 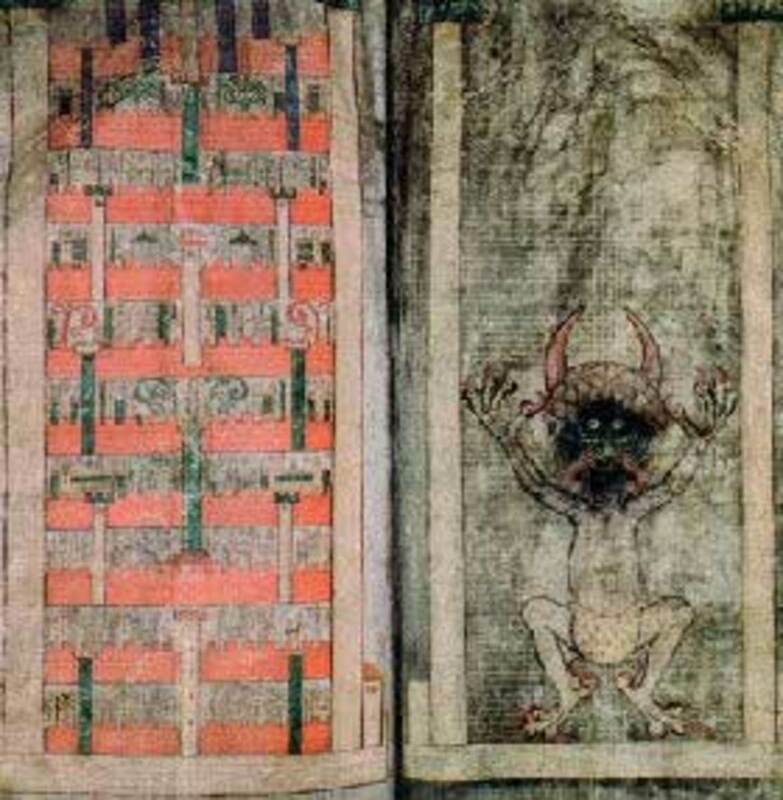 It is because of this unique illustration that it the Codex Gigas is also known as the Devil's Bible. 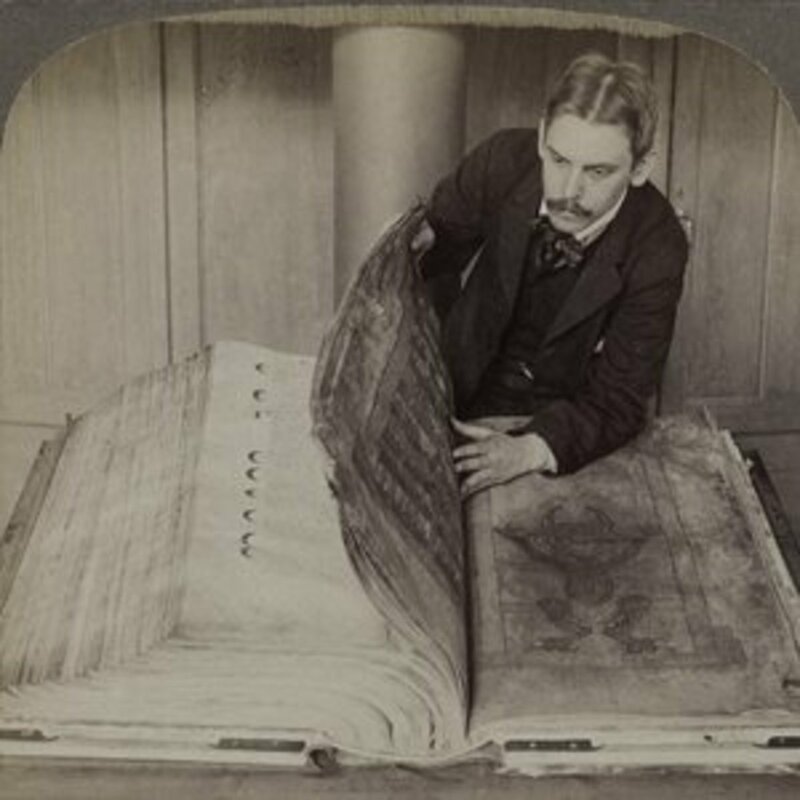 The Codex Gigas measures 36 1/4 inches by 19 3/4 inches and is 8 inches thick. There are a total of 320 pages, but many of the pages have been torn out; most likely because they contained the Benedictine secrets. 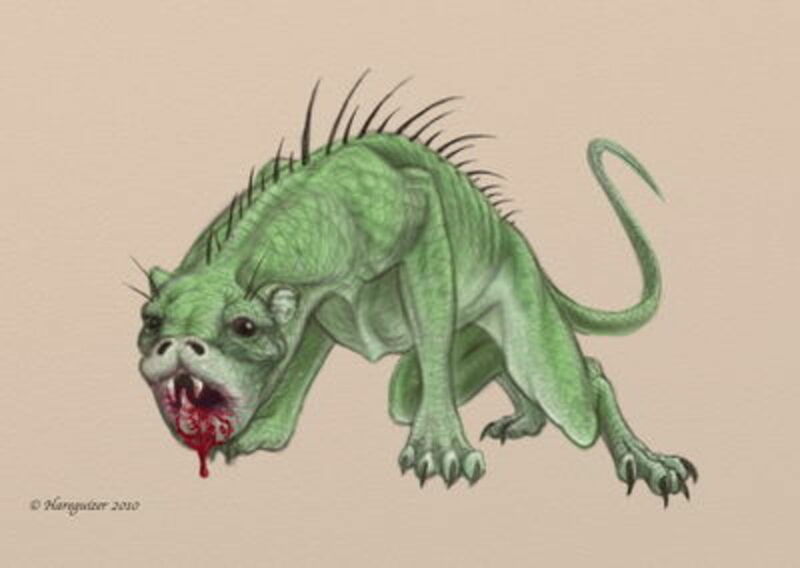 On page 290 of "The Devil's Bible" is a full page illustration of the devil. On the opposite page is an illustration of what heaven might look like. There is no recorded proof of the Codex legend, but the unusual text has an aura-like quality all its own, even though it is very old and has passed through a number of hands through the centuries. 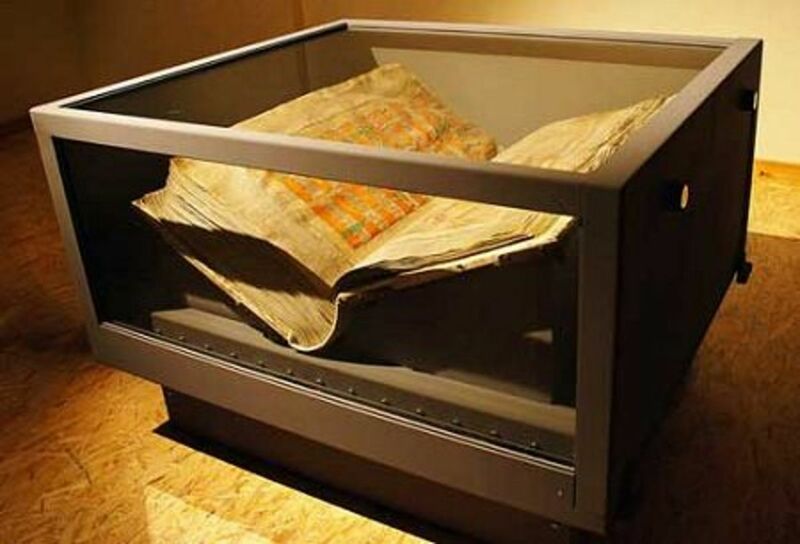 Once, the Codex Gigas was the eighth wonder of the world; the book weighs a hundred and sixty-five pounds. And unlike the above legend section that states the Codex is written on the skins of donkeys... it is actually made from calf skins. The Codex Gigas texts include pages not found anywhere else, inside the pages is a full Latin bible, passages in the book contain herbals, history books, cures for dangerous illnesses, texts regarding caring for the soul, medical formulas for treating illnesses and diseases, spells, and even solutions to problems (such as finding a thief). 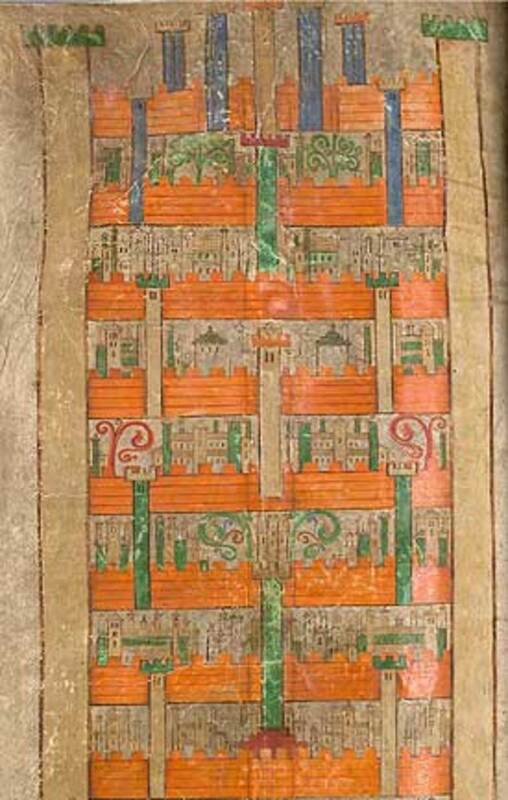 The Codex Gigas surfaced when the Benedictine monastery in Podlacize, Bohemia became financially troubled. 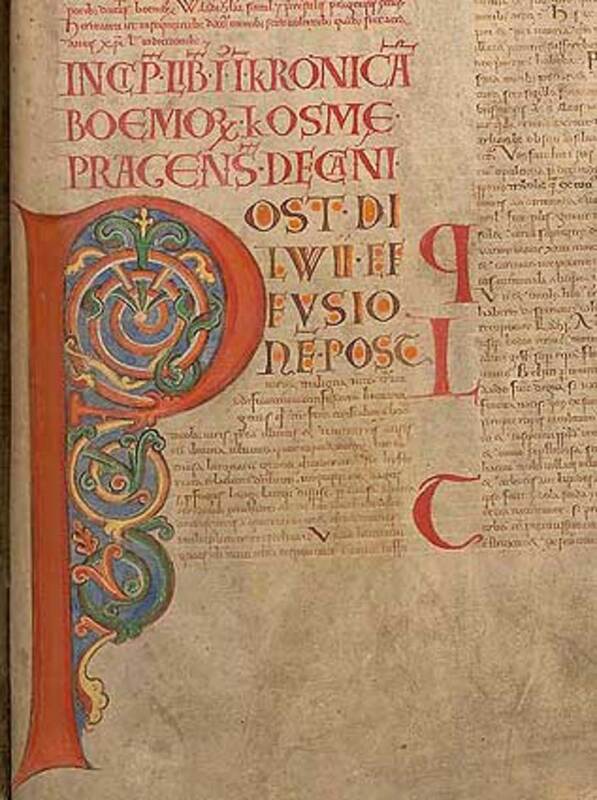 To raise money, the monks sold the manuscript to a monastery near Prague. Soon after the text was in its new home, that monastery also failed. A few years later the Holy Roman Emperor, Rudolf became obsessed with the Codex, as well as, other alchemy and scripts written on the occult. Not too soon after,the monk gave the Codex to him as a gift, Emperor Rudolf became erratic and paranoid. He was declared unfit to rule and was banished by his family. During the Thirty Years War in the mid 17th century, Swedish armies seized the Codex. Could It Have Been Written By One Man? 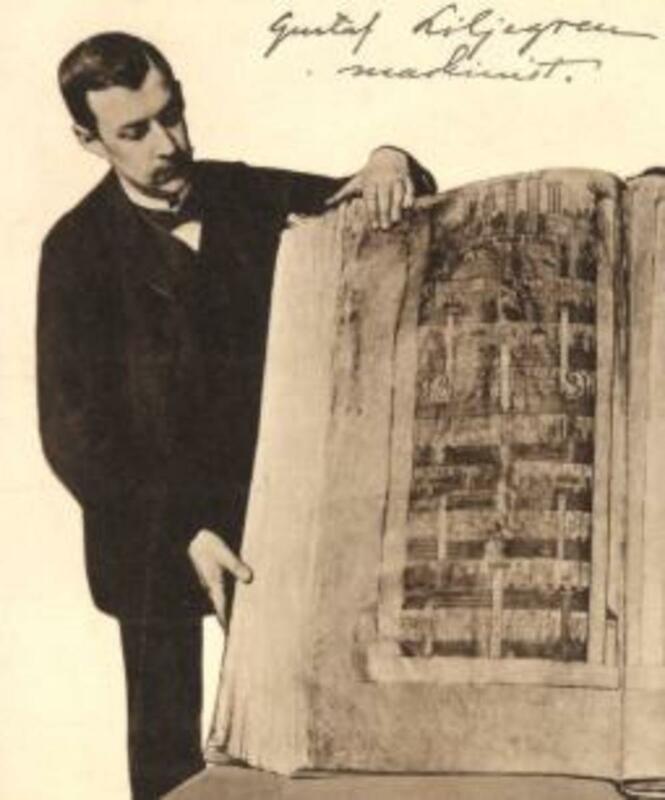 One of the mysteries of the Codex Gigas legend is who wrote it. Many would say that it is impossible that one man could have written the complete text alone. Yet, recently an investigation team of scholars, sponsored by National Geographic, findings support the story that the Codex is the work of one man. During the study, of the manuscript's text, invetigators noted that the book uses only one type of ink; which was made from crushed insect nests. The style and font of the calligraphy is consistent throughout, leading the investigators to believe that the manuscript is the work of one scribe rather than many. The text's lettering is believed to be self-taught, because of the lack of sophistication. The team also felt that the scribe must have been gifted, even though he was an amateur; because of the devil's portrait. 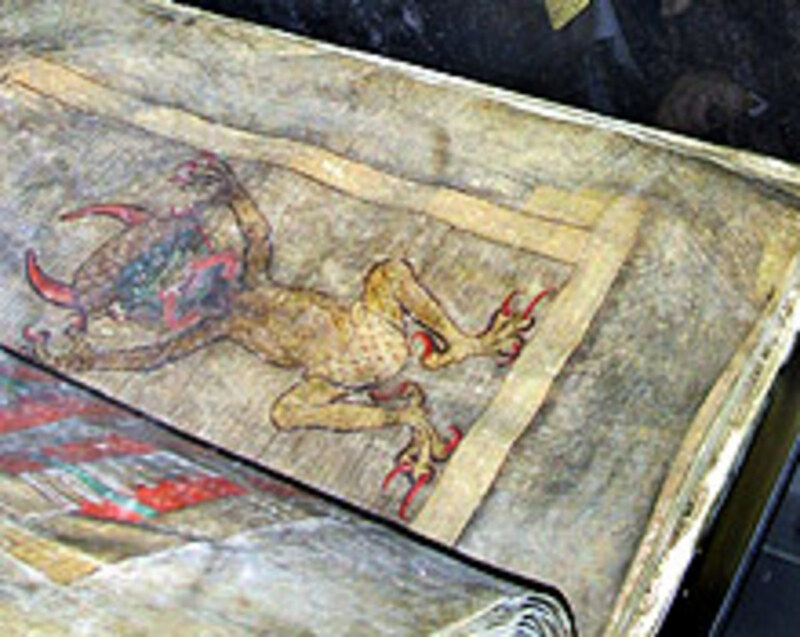 The experts estimate that "The Devil's Bible" would have taken a minimum of 25-30 years to complete. It obvious now, how the text got its nickname. It is the only bible to have a large image of the devil. A devil that is pictured half-clothed in royal ermine; he is half man, half beast; with claws, cloven hooves, and a huge snake-like red tongue. 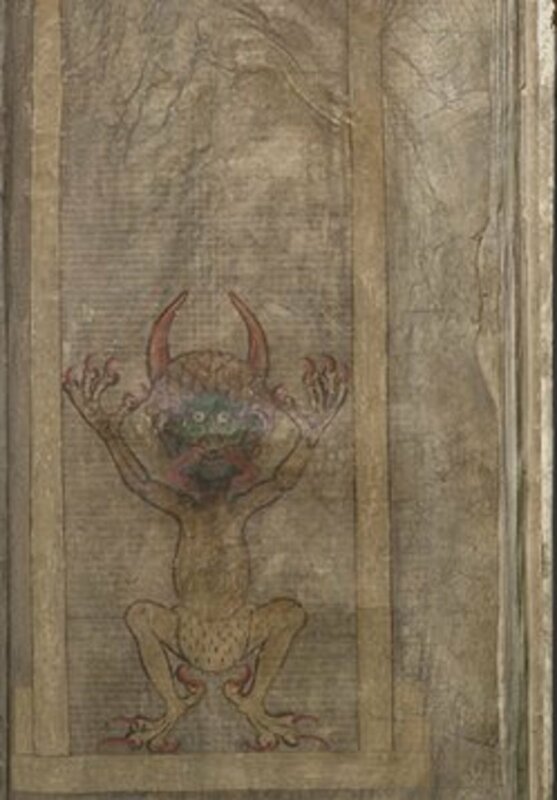 The drawing shows Satan walled up in a cell alone rather than with his subjects in Hell. 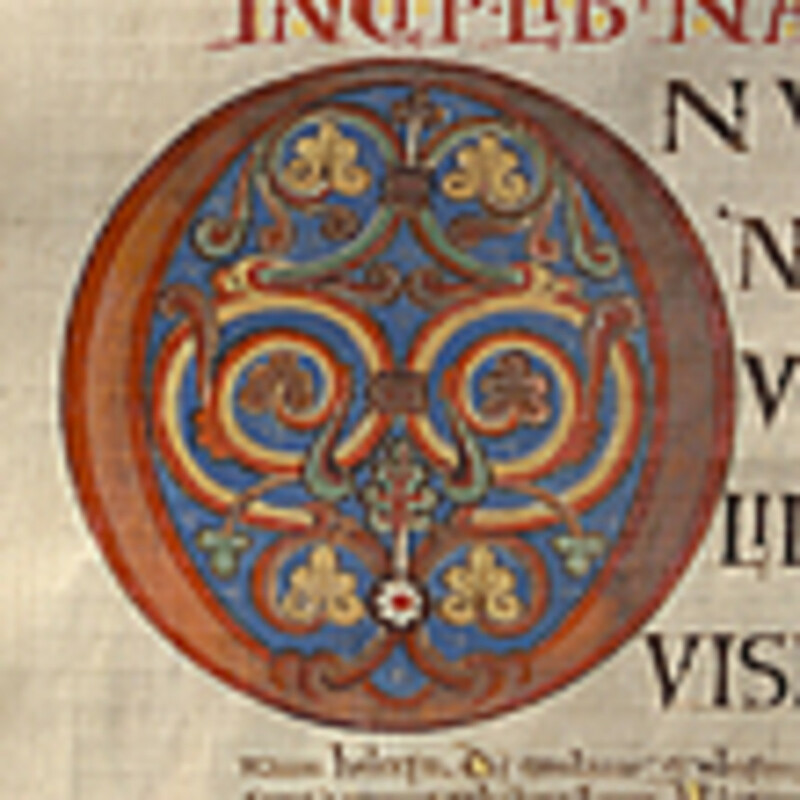 The page directly across from the devil's image is a portrait of the Kingdom of Heaven, creating a possible message. 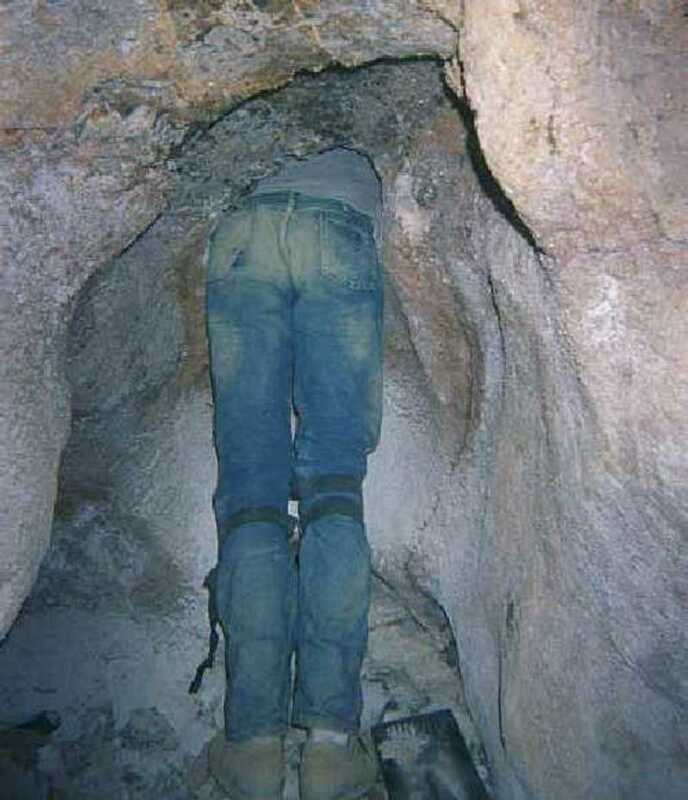 The legend is actually based on a misinterpretation of the word “inclusus” as the punishment of being walled up alive, but which actually refers to a monk choosing to live in a solitary cell away from the others. The codex is contained in a wooden folder, covered with leather and ornamented with metal. Records in the codex end in the year 1229. From 1477-1593 it was kept in the library of a monastery in Broumov until it was taken to Prague in 1594 and given to the Emperor Rudolf II. 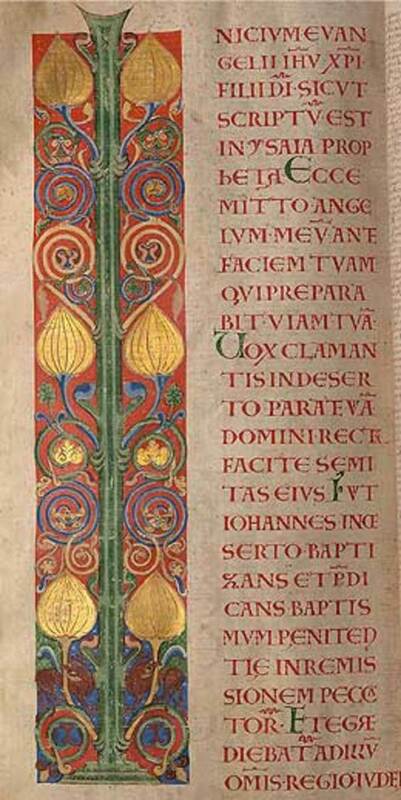 The manuscript includes illuminations in red, blue, yellow, green and gold. 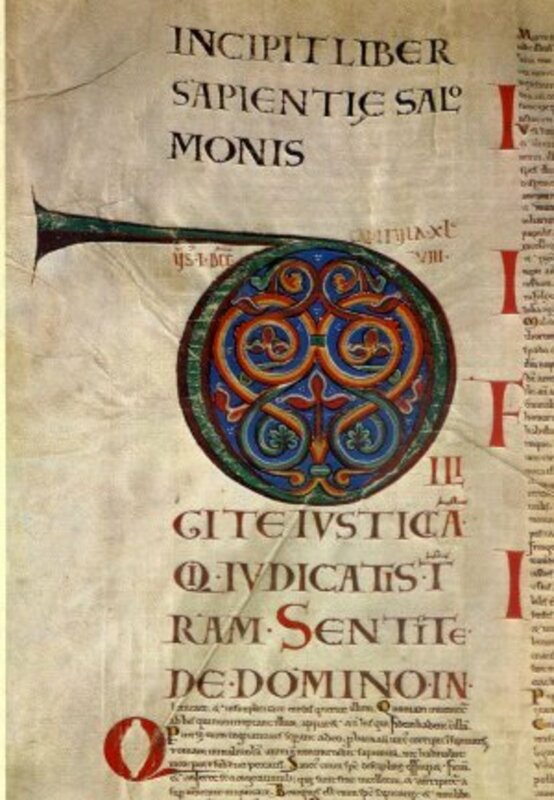 Capital letters are elaborately illuminated, frequently across the entire page. The writing inside the Codex is unified and unchanged throughout. This may have led to the belief that the whole text was written in a very short time. Despite this legend the codex was not forbidden by the Inquisition and was studied by many scholars. It is said that this particular handwriting has not been found anywhere else. 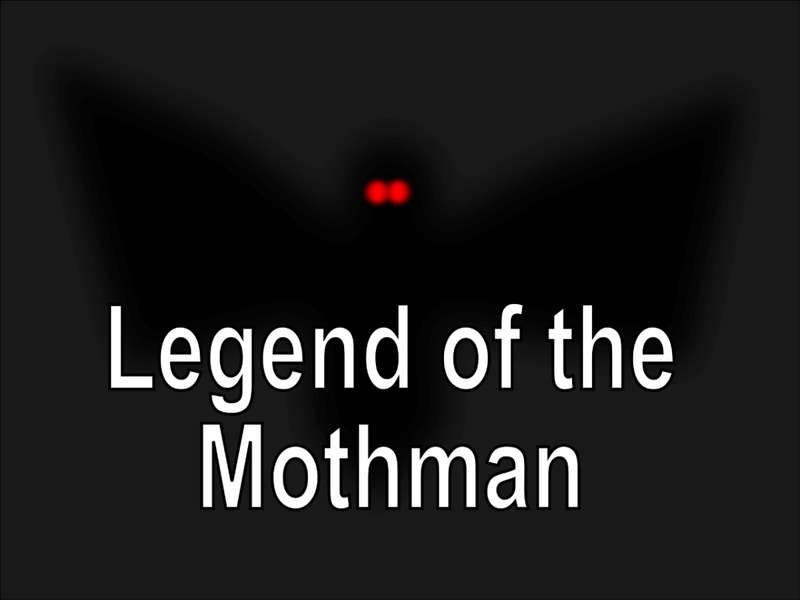 Many aspects of the legend most probably originated in truth, however due to the large portrait of Satan which would have been unique at the time, it is likely that the legend altered the truth so that the story could be retold in a more interesting way. 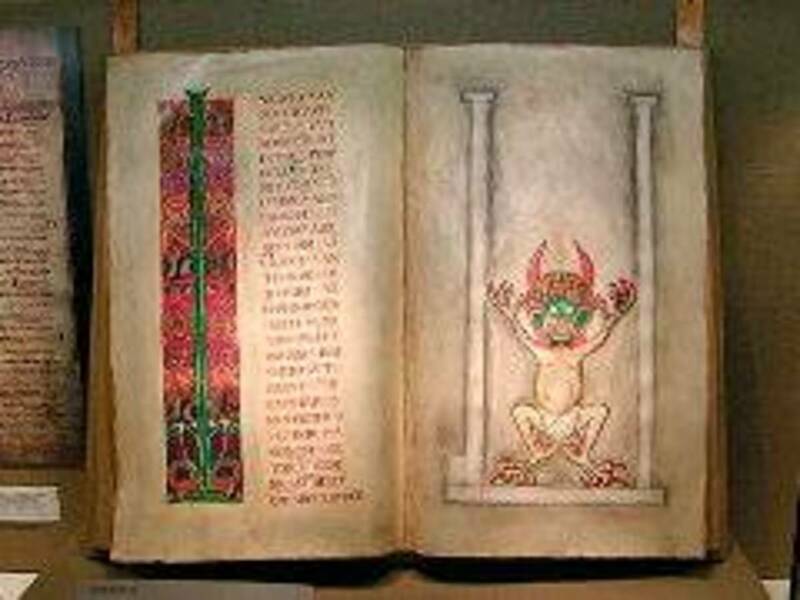 Anyone from the time who looked at the book would most likely be drawn to the portrait of Satan, thus getting the impression that this was one of the book’s focal points, explaining why people would believe that the monk made a pact with the devil. What many would have failed to see was that the page opposite this portrait was what is believed to be a picture of the kingdom of heaven. Now, many believe that double page spread was made to symbolize the fact that good and evil exist side-by-side, and nothing sinister. What most likely happened is that the monk requested to produce the book in solitude, probably over a period of at least twenty years. 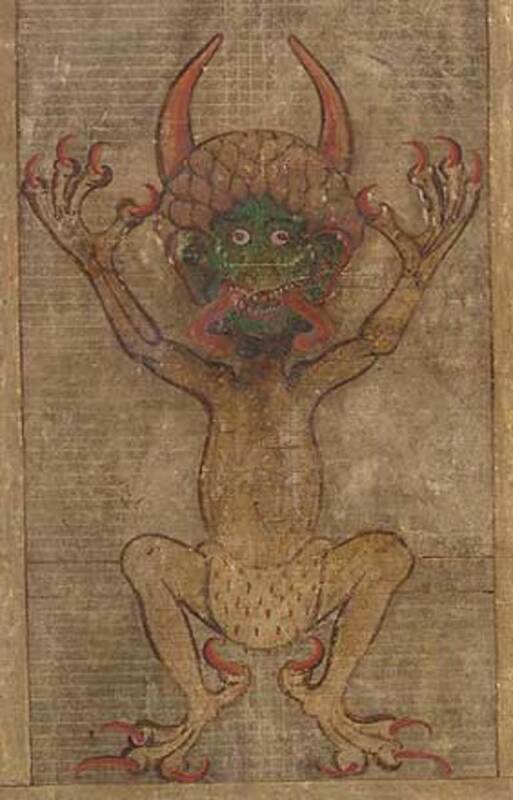 Over the years the manuscript has been given a variety of names alluding to its size and to the portrait of the Devil. 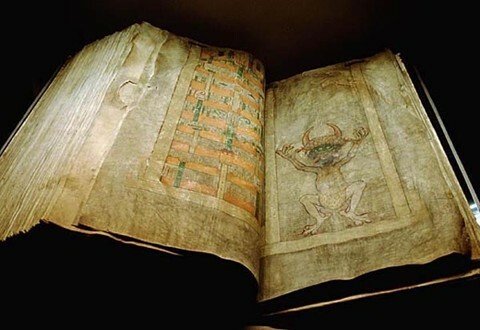 Apart from the Devil’s Bible and Codex Gigas it has also been called Codex Giganteus (the Giant Book), Gigas librorum (the Book Giant), Fans Bibel (the Devil’s Bible), Hin Håles Bibel (‘Old Nick’s Bible’) and Svartboken (the Black Book). Author Eugène Fahlstedt (1851-1935), interviewed in 1911, described how, some time during the 1870s, his friend August Strindberg had taken his friends to the library to read the Devil’s Bible. "It was late at night, but Strindberg, who worked at the Royal Library, had a key. He got out the Bible and struck a light with matches, and there by the light of sulphurous flames, thus … thus … (gesture of their leaning forward) … thus they read from the Devil’s Bible." The Devil’s Bible still retained its magical aura after the Middle Ages, when new legends still arise. So, it had one author, was large, had a portrait of Satan, included a Latin bible, cures, history. This sounds like good stuff. The fact that it contained a complete Latin bible proves that it was not from Satan. Satan is the father of lies and nothing good comes from him. He distorts and leads people astray. 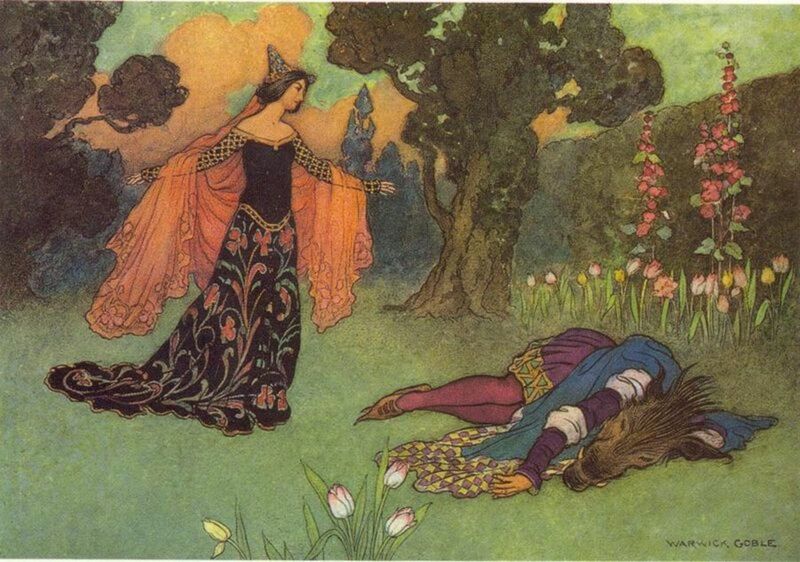 I would surmise that the "legend" that he sold his soul to the Devil was fabricated. 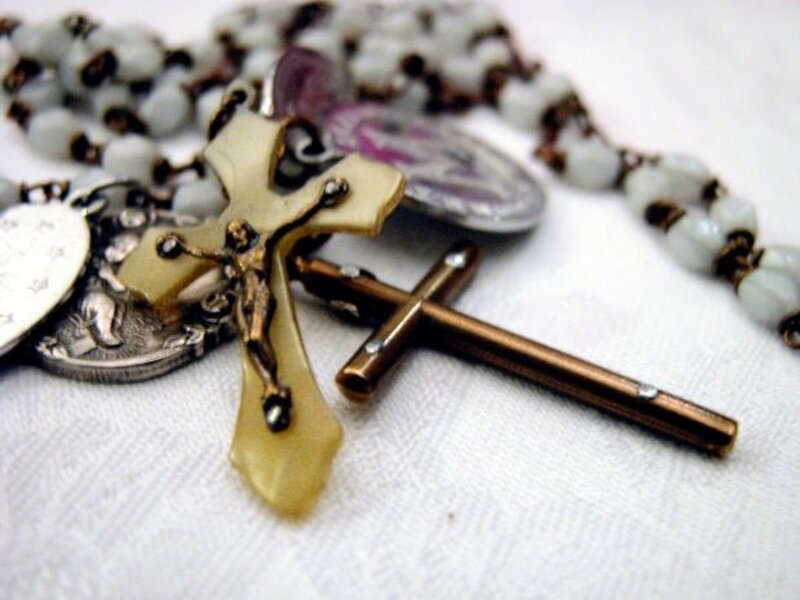 A monk would not appeal to Satan after a life devoted to God. If there are true and good things in there, all good things come from God and so the logical conclusion would be that he appealed to God for help and God helped him. If the Devil had anything to do with it, it would have been burned a long time ago! Good information giving. Not exactly what I was looking for (Mom explained that she watched a program about how this book has apparently caused incident to whoever has owned it, and I was looking for more into that) but still great. I learned a lot. The whole subject of this book strikes fear in some herats to thinnk that someone could have seen the mythiclogical side of the universe and to illustrate and write such things give you a new prospective about what really goes on in the world makes you qeustion the whole entire. And Chantie reading something that does not mention or up lift gods name does not damn you to helll to burn only gives you more will to not follow that path unless you are weak minded and can't follow your on own path. I don't know y ppl want to read this stuff, the only bible i want to read is the Holly Bible, because the day I die I want to be with God and live in heaven, I surely don't want to burn in hell with satan,and I believe by reading this bible of satan that you are turing ur back on God. Saw the National Geographic show on Codex Gigas,didn't even know that book existed,really cool. Colman... between Google (or any search engine) libraries and documentaries... I believe there is enough information regarding the Codex Gigas (and truthfully any subject) to keep anyone busy. i need more information about this book. it's called a dream. it's called a coincidence. it's called interpretation. i've had omen-like experiences as well and have assigned meaning to them out of desperation to put meaning into everything, but just like the number of permutations you can make in numbers and letters, it's the same with events and interpretions of events. and because you dreamt about your grandfather, all the more your emotions will lead you to find connections and fill in the gaps. dont be so gullible in this day and age. there are no answers, only choices. good day. The depiction of heaven in the codex is spot on. I had an intense out of body spiritual expirience about three years ago in which I traveled to a mediterranean looking cliff side with tropical gardens and a spire on each side. There I met and talked with my dead grandfather after journying through an area that I can only compare to the egyptian underworld and the descriptions from the Tibetan book of the dead. After I exited the tunnel of trials I was met by a man with a long read robe who's face I could not see. Then he showed me down a path through an undescribably beautiful garden that led to a picnic table where I talked with my grandfather. The area that I saw looked like the second highest level of the Kingdom of Heaven. I did not know of the book, nor its images until about three months ago, and when I saw the depiction of heaven I was left breathless. this is very great. would any one mind telling more about the bible? i am 17 and would like to know more about it if anyone would like to talk about it. Fascinating, I would be sure that (according to satanists) that the horns of the Devil curl around like a ram. 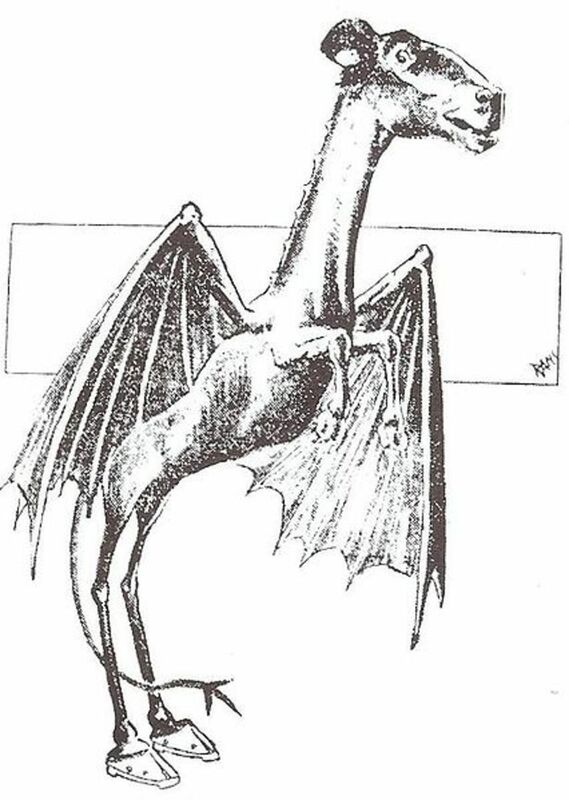 Plus, demons don't look like the scrawny, lanky, deformed things that was drawn. Demons are simply angels that followed the Devil. Therefor, they are majestic entities in themselves. I also highly (very) doubt that he even thought about forming a pact with the Devil, as the signs and designs of the "devil" doesn't seem to light up with fact. I have been alive for some 64 years but have never heard the words codex gigas. One can learn something new everyday! Ain't not a Christian but this is very interesting to read. Thank you Pastor Wait... and I always have room for one more fan. Interesting Hub. Lots of info.Thumbs up from a new fan! Thank you MistyHorizons... I do keep trying to find the unusual subject. Thank you Einron, I hope you found something in it. Thank you Cathy! There are so many of these mysteries abound. I don't think I can ever get to them all. I thought about the crystal skulls, St. Anne's in Quebec, and the story of Melchizedek. Just to name 3 off of the top of my head. SabreBlade It is such an interesting story, but to dig deeper would have been 3 hubs long. Thank you for taking the time. I had just read about this last week. Very interesting. Wow! I LOVE this type of mystery. Mayans, I believe, have their own codex mysteries, like the discovery of some books being found in Europe (trash can etc...) Thanks St. James. Unique as usual. You never know Dink... but I hope you never get to meet Ol' Scratch to find out. Those Bohemians were just buck wild, doncha know? All them Czech types. That's why they made such great beers! All kidding aside. a fascinating read and again, very well researched. Perhaps there's much more to this entire devil angle than has been revealed in this article.... Thanks for this small bit of ancestral history. I have to agree with you Teresa on the being fascinated.... What makes this particular text even far more interesting is the sheer size of the Codex Gigas, as well as the unexpected image of the walled up devil, all the knowledge that is documented inside and of course the legend surrounding the Codex. Thank you for stopping in and writing your thoughts on the subject. Illuminated manuscripts have always fascinated me for the sheer volume (sorry) of work they entailed -- but this one's a mama-jama big'un, innit? Cool hub, thanks.